Bring the kids along to Fort Funston National Park and Ghirardelli Square. For shopping fun, head to Ferry Building Marketplace or Union Square. The adventure continues: step off the mainland to explore Alcatraz Island, engage your brain at Exploratorium, appreciate the extensive heritage of Filbert Steps, and identify plant and animal life at Strawberry Hill. For traveler tips, ratings, photos, and tourist information, go to the San Francisco itinerary planning app . Las Vegas to San Francisco is an approximately 4-hour flight. You can also do a combination of flight and subway; or drive. In June, San Francisco is colder than Las Vegas - with highs of 25°C and lows of 15°C. Wrap up your sightseeing on the 18th (Tue) early enough to drive to Carmel. Carmel-by-the-Sea, often simply called Carmel, is a city in Monterey County, California, United States, founded in 1902 and incorporated on October 31, 1916. 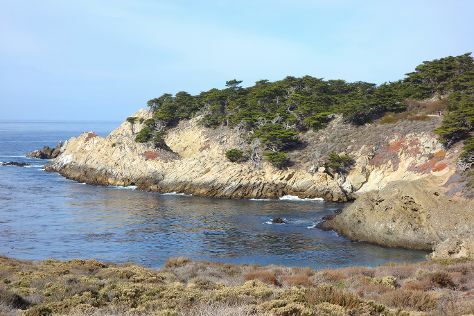 On the 19th (Wed), appreciate the extensive heritage of Pacific Grove Oceanview Boulevard, enjoy the sand and surf at Breakwater, then pause for some serene contemplation at San Carlos Cathedral, and finally stroll through Point Lobos. For photos, ratings, more things to do, and tourist information, go to the Carmel tour planner. You can drive from San Francisco to Carmel in 2.5 hours. Alternatively, you can do a combination of flight and bus; or take a bus. In June in Carmel, expect temperatures between 23°C during the day and 13°C at night. Finish your sightseeing early on the 19th (Wed) to allow enough time to drive to Yosemite National Park. On the 20th (Thu), get to know the fascinating history of Big Trees Lodge, National Historic Landmark and then hike along Mariposa Grove of Giant Sequoias. On the 21st (Fri), you'll have a packed day of sightseeing: make a trip to Olmsted Point, then identify plant and animal life at Nature Center at Happy Isles, and then explore the striking landscape at Glacier Point. To find photos, reviews, where to stay, and other tourist information, read our Yosemite National Park trip itinerary planner. You can drive from Carmel to Yosemite National Park in 5 hours. Other options are to do a combination of bus, flight, and car; or do a combination of bus, shuttle, flight, and car. When traveling from Carmel in June, plan for a bit warmer days and a bit cooler nights in Yosemite National Park: temperatures range from 30°C by day to 7°C at night. Cap off your sightseeing on the 21st (Fri) early enough to travel to Los Angeles. 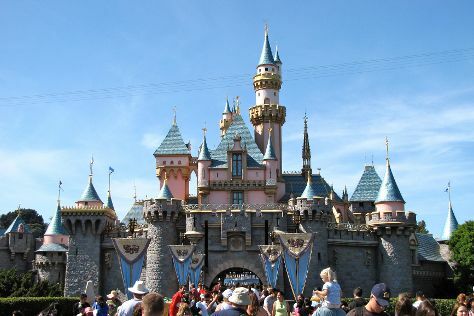 Start off your visit on the 22nd (Sat): make an unforgettable trip to Disneyland Park. Keep things going the next day: take a leisurely stroll along Santa Monica Pier, then look for all kinds of wild species at Kenneth Hahn State Recreation Area, then browse the different shops at The Grove, and finally look for gifts at Amoeba Music. To see traveler tips, reviews, maps, and tourist information, read our Los Angeles trip itinerary planner . Do a combination of car and flight from Yosemite National Park to Los Angeles in 4.5 hours. Alternatively, you can drive; or do a combination of taxi, bus, and flight. Traveling from Yosemite National Park in June, you can expect nighttime temperatures to be somewhat warmer in Los Angeles, with lows of 19°C. Finish up your sightseeing early on the 23rd (Sun) so you can travel to Las Vegas. On the 24th (Mon), look for all kinds of wild species at Lake Mead National Recreation Area, appreciate the extensive heritage of The Strip, and then admire the local landmark of Bellagio Fountains. Keep things going the next day: buy something for everyone on your list at The Grand Canal Shoppes at The Venetian and then take in breathtaking views at Red Rock Canyon National Conservation Area. To see more things to do, where to stay, and tourist information, you can read our Las Vegas vacation builder tool . Traveling by flight from Los Angeles to Las Vegas takes 4 hours. Alternatively, you can fly; or drive. When traveling from Los Angeles in June, plan for much hotter days in Las Vegas, with highs around 46°C, while nights are somewhat warmer with lows around 29°C. Wrap up your sightseeing on the 25th (Tue) to allow time to travel to San Diego. Kick off your visit on the 26th (Wed): explore the different monuments and memorials at Fort Rosecrans Cemetery and then tour the pleasant surroundings at San Diego Zoo. On the 27th (Thu), you'll have a packed day of sightseeing: get a taste of the local shopping with Gaslamp Quarter and then admire the majestic nature at Torrey Pines State Natural Reserve. To see maps, other places to visit, and tourist information, use the San Diego vacation planner. Getting from Las Vegas to San Diego by flight takes about 3.5 hours. Other options: drive; or take a bus. Traveling from Las Vegas in June, you will find days in San Diego are colder (26°C), and nights are a bit cooler (20°C). Finish up your sightseeing early on the 27th (Thu) so you can travel back home.